On rough hewn crag, flowers & sleeping setter at base. Furred cloak (broken at back). Chiseled uneven back surface with hole. Signed and dated in hollow underneath. This terra cotta represents the shepherd Endymion, beloved of Diana, goddess of the moon. 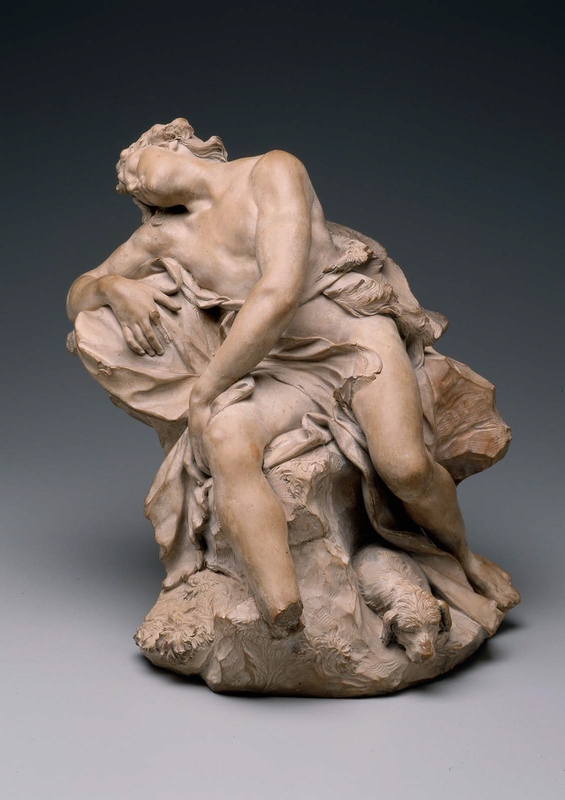 Jupiter granted him eternal youth through eternal sleep, and Diana protected him as he slept. Created as a model for a bronze, this terra cotta was also appreciated as a work of art in itself. The delicate modeling of Endymion’s head and flesh, his charming dog, and the details of costume and foliage exemplify the freshness and immediacy of the terra cotta medium. Incised on back of rock base: "Ag Cor/nacchini/1716". See Bruce Boucher et al., "Earth and Fire: Italian Terracotta Sculpture from Donatello to Canova" (New Haven and London, 2001), p. 234. 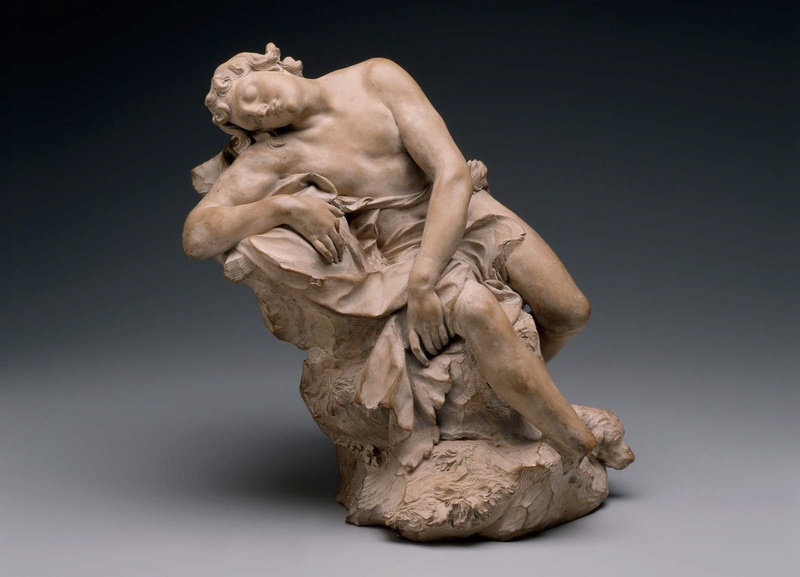 The sculpture was listed in Gabburri's 1722 inventory. Correspondence from Galerie Julius Böhler to the MFA (May 9, 2006; in MFA curatorial file).